Photograph taken sometime in the early 20th C. near Trevilian Station, Louisa County. Jeff Porter appears in other photos at the Trevilian Station Depot. 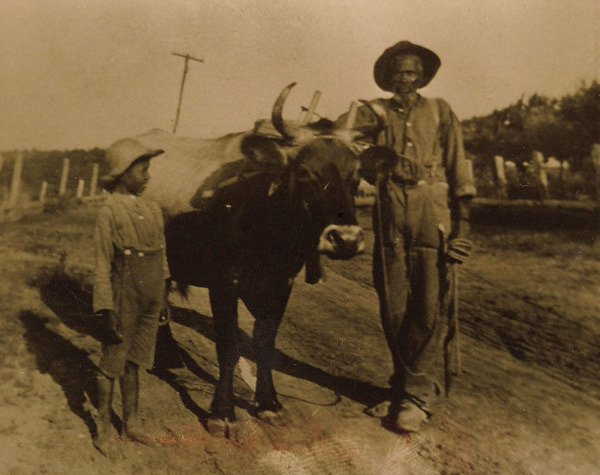 “Jeff Porter and Ox,” Piedmont Virginia Digital History: The Land Between the Rivers , accessed April 25, 2019, http://piedmontvahistory.org/archives14/index.php/items/show/31.